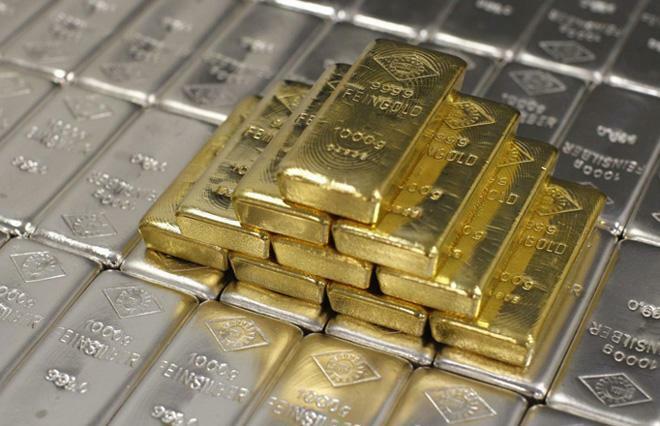 Precious metal prices decreased in Azerbaijan on April 16 compare to April 15, Trend reports citing the data published by the country's Central Bank. The price of gold decreased by 7.6585 manats to 2,184.313 manats per ounce in the country on April 16 compared to the price on April 15. The price of silver decreased by 0.0179 manats to 25.4289 manats per ounce. The price of platinum decreased by 6.7915 manats to 1,506.608 manats in the country. The price of palladium decreased by 5.5165 manats to 2,324.4695 manats.